Who has not watched Star Trek or Star Wars and dreamed of sailing into exciting adventures throughout space one day? With a great crew by your side, and villains to defeat in the age of technological advancement, everyone can be a hero and this is what makes such a story alluring. Perhaps, your first step towards such an expedition would be picking up a pen and writing a short story in the genre of science fiction. Whether you are writing essays for college and need a boost of creativity, or want to try out a new genre, this article will be useful for advancing your skills onto a new level. And for getting your paper done you can contact essaytwist.com/prices/order-now. Let us state that the rules you will read in this article are not compulsory. Indeed, creativity is the key in any original writing, and it does allow the bending of the rules, if it benefits your story. However, we will start by listing the main elements that are featured in most science fiction stories. Fasten your seatbelts and prepare yourself to your writing adventure in space! To understand science fiction, you should at least try reading it. This advice works for any genre. The more information you accumulate about a certain genre, the better understanding of the mechanics behind the scenes you will get. You can check this list to get a few ideas of what has been notorious compositions in the genre, and tick how many of these books reside in your bookcase right now. Of course, you can use any kind of list you want. The key difference between science fiction and fantasy is that the former is something that could happen in the future of humanity. Submarines were first predicted in science fiction, when humanity has not yet invented them. In order to write something plausible, you need to have at least basic understanding of how the world works, so that your writer can believe you. As we said in the previous paragraph, your story should make predictions. Whether it is oriented at 50 years from now, or 5000, make sure that your future is possible. There is not one human being who is not the least bit curious about the future of the planet or the technological advancements that are bound to happen. You should learn how to appeal to them by making exciting predictions. Make sure that your whole story sticks to the logic you have brainstormed to create your likely prediction. 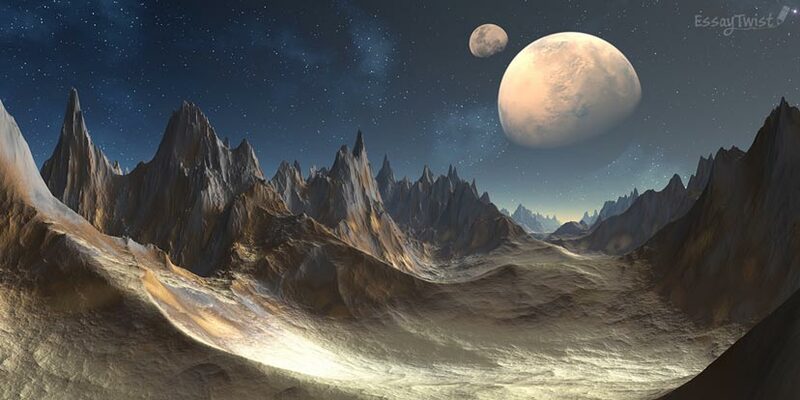 If you claim that humans will colonize Mars because of the lack of resources, make sure that there are indeed no resources left on earth and do not make your characters nostalgic for the green trees and the blue ocean if there are no such things left on the home planet. Science fiction is a rather optimistic genre, as the authors are always betting on the brains and knowledge of humanity. They believe that we certainly can achieve great advancements, and we will. In no time we will have flying vehicles in urban settings and spaceships that fly to other planets. In order to write a great story, make sure that humanity puts its brains to a good use. Your hero could be anyone, a lonely ranger or a even a team of unlikely misfits. The key is to make your characters truly into heroes. They are the ones who you would like to be, and the only ones in the galaxy who can achieve such brilliant success or carry out a difficult task. Make sure that at least one of them is relatable. Even if your heroes are dishonest, you can make them charismatic and following a good cause with tricky means. Stick to diversity and you will be rewarded with good reviews. Anyone can be a hero in space! An exciting story is bound to have an earth-shattering dilemma. You can make your heroes look for a certain treasure, defeat horrible villains or save a planet. No matter what you write, your heroes cannot shine without a noble quest. This quest should be no easy task. Avoiding or failing it could cause massive consequences that could jeopardize the fate of millions. The higher the stakes, the bigger the audience’s interest! Since this genre is so optimistic, it is better to spare the lives of your team and defeat the evil in the end, leading to peace and prosperity everywhere. If you kill off your teammates, you automatically make your reader lose faith in humanity, and that is not favorable if you want to leave a great impression about the fantastic technological achievements that advanced at the same time with the rightfully moral sides of human nature.